Expedit, we hardly knew ye. Ikea recently announced that the popular shelving system is not long for this world, and the internet responded with rage. But there's a really good reason for Ikea to get rid of Expedit. And in fact, it's not really going away at all. Ikea says it's replacing Expedit with a new line of shelving, called Kallax, beginning in April. The furor over the decision has been swift—especially from vinyl collectors, amongst whom Expedit is something of a cult item. In fact, there's even a 20,000-person strong Facebook page devoted to saving the easily-stackable shelves. But chew on this: Ikea uses a whopping one percent of the world's wood supply. That's 17.8 million cubic yards of wood. Much of that goes into making the veneer you find on many of Ikea's most popular products, including Expedit. Now, let's look at Kallax. Ikea reports that the internal dimensions of the system are exactly the same as Expedit—so Kallax will still fit your vinyl collection just fine. So what's changing? The thickness of the wide outer edge that makes Expedit so distinctive. It seems like a minuscule change to us, but it's not. 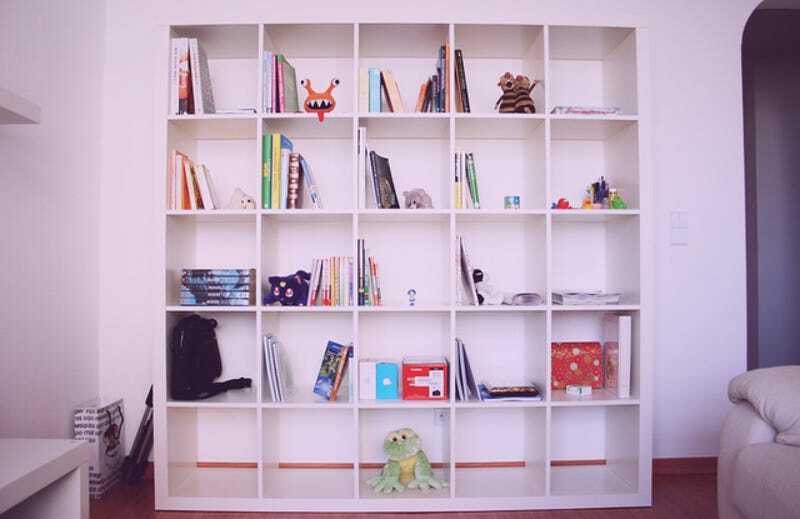 Sales numbers for Expedit aren't public, but we know that Ikea sells some 41 million similar Billy bookcases a year. If Ikea can cut even a centimeter of wood on each of those products, it will save massively on material costs. It's also going to help them make good on their claim of sustainability. Right now, 25 percent of Ikea wood is certified by the Forest Stewardship Council (though, as one commenter points out, the certification was recently thrown into question). Last year, they pledged to increase that number to 50 percent within five years. And when you're selling hundreds of millions of products a year, even the smallest savings count. So this decision probably has nothing to do with design, and not much to do with stirring up excitement—though that doesn't hurt—either. It's just good business at a truly massive scale. So mourn for Expedit—but remember that it's being replaced by basically the same thing, and it's coming from a more sustainable company. Still, it's sad to see Expedit proper go. As the proud owner of one unit, it's by far the most photogenic shelf I've ever owned (see below). Drop your own images in the comments—who knows, maybe Ikea will change its mind. Update: Ikea has released images of Kallax, and it looks pretty damn nice. The company also comments that the surface will be more scratch-resistant and more child-friendly, thanks to a slight corner bevel. Crucially, Kallax is described as "a new name" for Expedit.